I've been meaning to post this for awhile. 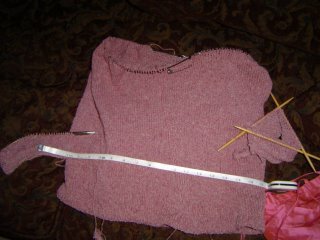 I finished up my hourglass sweater several months ago, and got to wear it a couple of times before summer kicked in. I used Noro Cash Iroha #84, and I loved the pattern and the yarn. 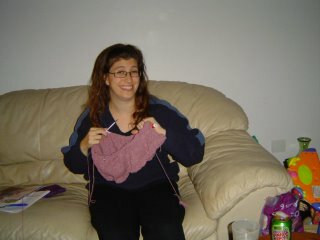 I will definitely be making this sweater again, but probably with a different yarn. 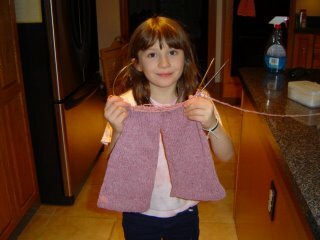 There have been no new posts on the knitalong for quite a while now - I'm guessing most of us are happily wearing our completed Hourglasses and have moved on to other things. Therefore I am proposing that we close the knitalong. We can keep the blog up as a reference for others, but not allow any new posts or any new members. What do other people think? Wahoo! My Hourglass Sweater is finally finished! Sadly, the neck does feel like it’s going to stretch and fall off my shoulders. 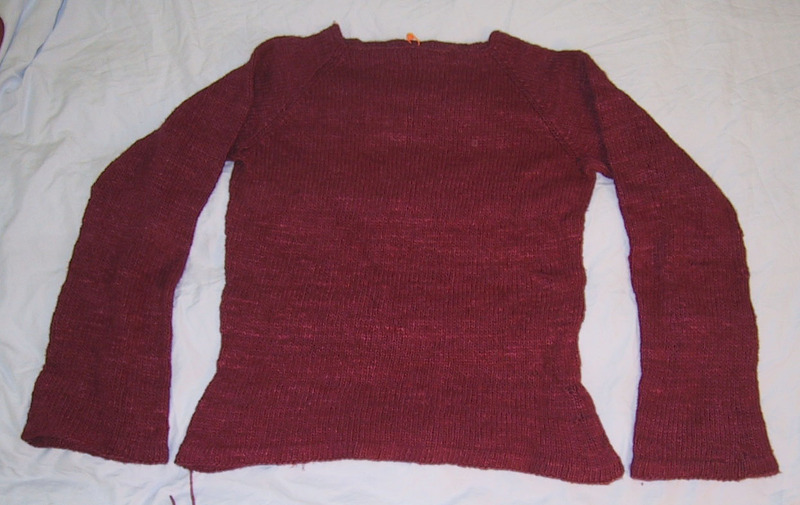 I can’t complain — I was warned by many a knitter to knit a few extra rows to make the neck smaller, but when I tried it on, it just didn’t feel as wide as it did once I’d finished. Any advice for how to keep the neck a smaller size without frogging and adding rows? I wove a thread through it, but I’m not sure how much that’ll help. So my question to you is, do you think I'm 2/3 of the way finished? Or more like 1/2 way? Because if I'm 2/3 finished then I will qualify for a silver metal. 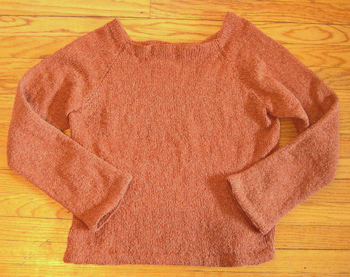 Either way I love this sweater and can't wait to wear it. Thanks for all of your discussions of the pattern on this blog. They have been helpful. 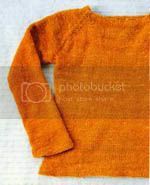 this isn't exactly a swetaer-related post, but... i'd like to put the "hourlgass knit-alog" button on my blog, but try as i might i can't find info in the help section. could someone point me in the right direction, or if it's easy, to walk me though it?